I could probably make 2 Angel Food Cakes a week, and they would be gobbled right up. When the kids were all home, this Cake would only last five minutes after it was placed on a plate. In fact, they would get excited when I pulled my large 7-up Bottle from the cupboard. After this Cake comes from the oven, I would hang it upside down on the large glass bottle, while it cooled. I would watch it like a hawk though, because the exposed Angel Food Cake with the crusty top is always the best. If I didn’t watch those little hands, that beautiful delicious top would be picked clean! 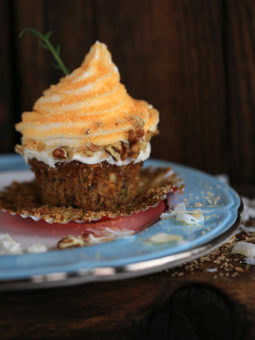 I found this recipe on Food and Wine.com. 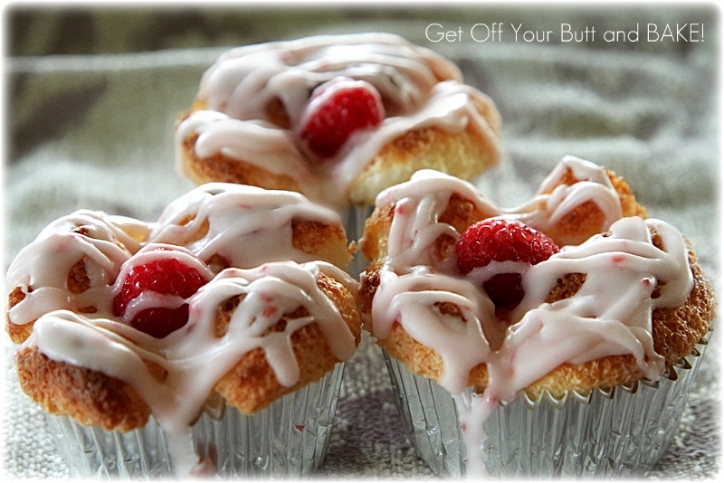 These sweet little cupcakes have a delicious jam filling made with fresh raspberries, and then glazed. They are light, airy and quite delicious. Angel Food Cake is Fat Free, and so it’s a bit healthier for you as well. You can make this homemade Angel Food Cake, but the recipe calls for 10 large egg whites. That blows through a dozen eggs very quickly! A box cake is still yummy, and all you need to do is add Cold water. It doesn’t get easier than that. We still like to eat Angel Food Cake . . . just like this. 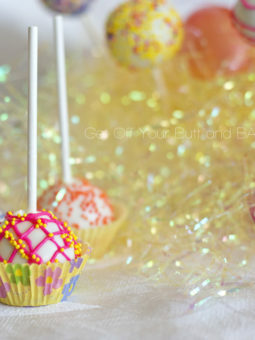 If you’ve never made one before, you’re really missing the finer treats of life! Make sure you use paper liners, and don’t fill your cups too full. While the Raspberry Sauce cools, make your Glaze. I also added 2 Tablespoons of the Sauce to my Glaze. 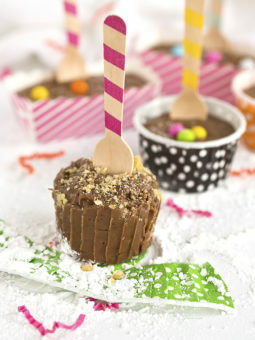 Using a wooden skewer, or a wooden spoon, poke a 1/4″ wide hole in the top of each of the Cupcakes. Pipe about 1 Tablespoon of the Raspberry Sauce into each hole. Using some of that Powdered Sugar Glaze . . . Plug each Raspberry filled hole. just like so . . . Play like these are a low-fat jelly doughnut! MAKE THE FILLING: In a medium saucepan, combine 2 1/2 cups of the raspberries with the granulated sugar and cook over moderately high heat, crushing the berries, until very soft and broken down, about 5 minutes. Strain the raspberry puree into a small bowl and discard the seeds. Return the puree to the saucepan. Add the remaining 1/2 cup of raspberries and the dissolved cornstarch and bring to a boil. Cook, gently crushing the berries, until the filling is glossy and thickened, about 3 minutes. Let cool, then refrigerate until firm, about 1 hour. MEANWHILE, MAKE THE CUPCAKES: Preheat the oven to 325°. Set 18 foil muffin cups on a rimmed baking sheet. In a small bowl, combine the cake flour with the confectioners’ sugar. In a large bowl, combine the egg whites with the salt, vanilla seeds and cream of tartar and beat until soft peaks form. Gradually beat in the granulated sugar, 1 tablespoon at a time, until the whites are firm and glossy. Sift the flour mixture over the egg whites in 2 additions, folding gently until incorporated. MAKE THE GLAZE: In a small bowl, stir together all of the ingredients. Spoon a small bit of the glaze over the raspberry hole and let set, about 5 minutes. Drizzle and spread the remaining glaze over the cupcakes and let set, about 10 minutes. 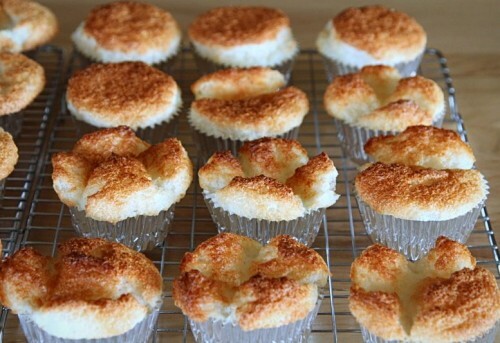 Transfer the cupcakes to a platter and serve. Angel food cake is my husband’s favorite cake. He would really love these little portable cakes. That is sooooo great to hear! 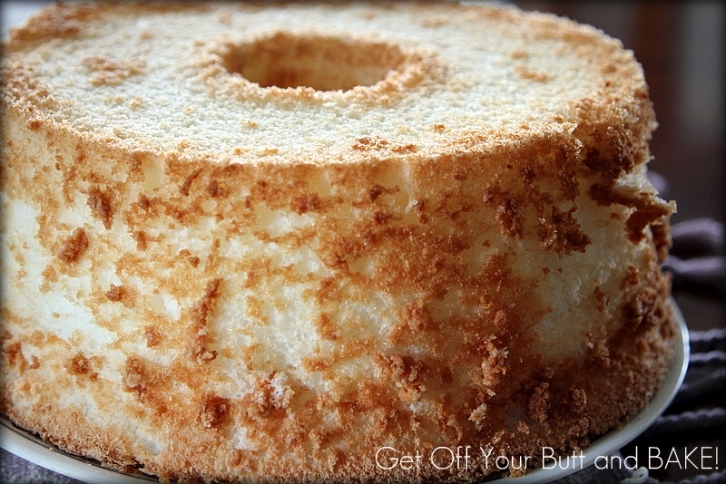 The Angel Food cake is a great way to use egg whites. We also love Divinity. 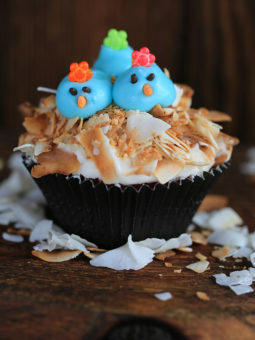 You should also try the homemade Marshmallow frosting. It is so good on chocolate or white cake or cupcakes or make homemade Marshmallows!